This exhibit depicts a C6 left transverse process fracture and its effects on the left vertebral artery. 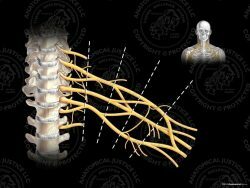 Under normal conditions, the vertebral arteries run through foramen in the transverse processes of the cervical vertebrae, and into the skull to form the basilar artery. This supplies blood to the various parts of the brain. 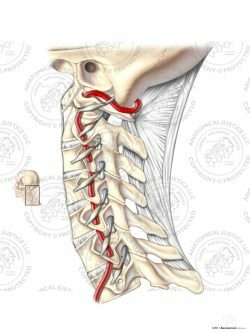 A left transverse process fracture at C6 causes a flap-like tear of the left vertebral artery endothelium and interior muscular wall (dissection). Blood collects and thickens behind the torn artery wall, forming a thrombus which blocks blood flow. 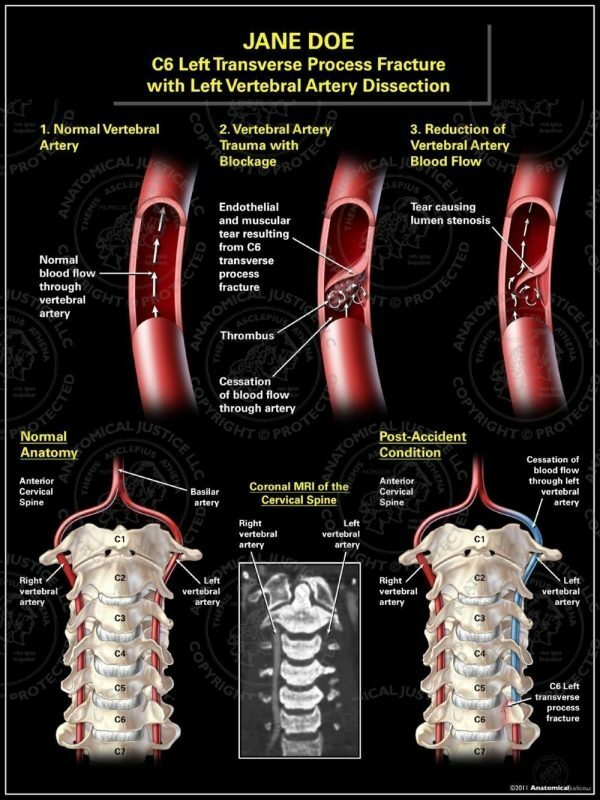 Anticoagulants and anti-platelet drugs are administered to relieve the thrombus, however, the arterial tear still impedes vertebral artery blood flow.